Pebble spiced up its Pebble Time Kickstarter project this morning with the announcement of a new all-metal version, called Pebble Time Steel, and what they are calling “Smartstraps.” The campaign for their new smartwatch has already crushed their previous record in just over a week, so don’t be surprised if today’s goodies continues to push the needle towards another record. Pebble Time Steel has been “delicately crafted” in CNC-finished 316L stainless steel, has a larger battery that lasts up to 10 days, includes the same color e-paper display as the original Time, and is available in three colors – Black, Stainless, and Gold. With each purchase, you also get both a “fine” leather and stainless steel strap. 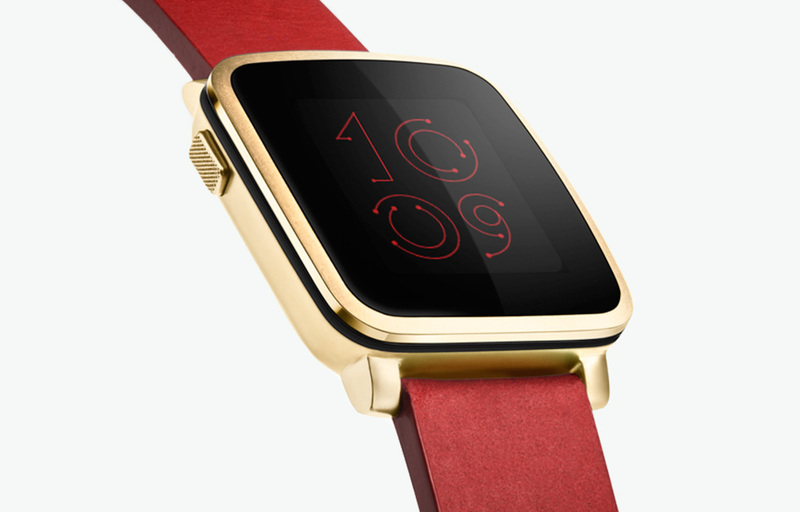 The Pebble Time Steel starts at $250. If you upgrade your pledge, you get to keep your spot in line. As for the Smartstraps, Pebble has opened up their hardware platform to allow creative types to create watch straps that add features or functionality to the Pebble Time. Think electronics and sensors contained inside a watch strap that could track your heart rate or a run through GPS without the help of your phone. Maybe you just want a watch strap that could add extra battery life. You get the idea – Smartstraps increase the usefulness of the Pebble Time. To learn more about Smartstraps and the technology behind them, hit up the Pebble developer blog.